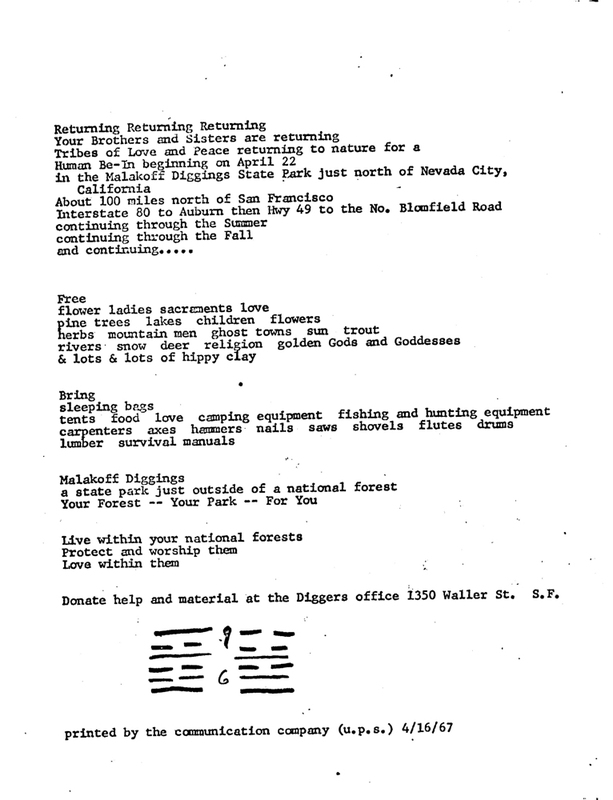 Abstract: "Your Brothers and Sisters are returning, Tribes of Love and Peace returning to nature for a, Human Be-In beginning on April 22, in the Malakoff Diggings State Park.. Free, flower ladies sacraments love, pine trees lakes children flowers.." "Donate help and material at the Diggers office 1350 Waller St. S.F." 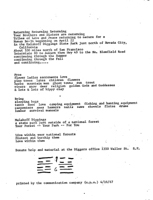 Notes: Appended handlettered I Ching hexagrams at bottom of page.